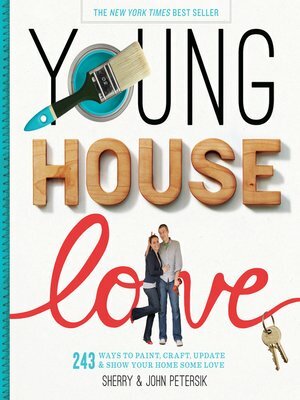 This New York Times bestselling book is filled with hundreds of fun, deceptively simple, budget-friendly ideas for sprucing up your home. With two home renovations under their (tool) belts and millions of hits per month on their blog YoungHouseLove.com, Sherry and John Petersik are home-improvement enthusiasts primed to pass on a slew of projects, tricks, and techniques to do-it-yourselfers of all levels. Packed with 243 tips and ideas—both classic and unexpected—and more than 400 photographs and illustrations, this is a book that readers will return to again and again for the creative projects and easy-to-follow instructions in the relatable voice the Petersiks are known for. Learn to trick out a thrift-store mirror, spice up plain old roller shades, "hack" your Ikea table to create three distinct looks, and so much more.